Impress your family and friends with your new-found Over 200 Lip-Smacking 4th of July Independence Day Recipes! 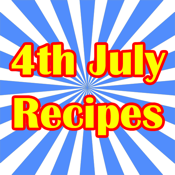 With 4th of July Recipes book, you will find all the tips and techniques necessary to make your Independence Day Recipes like those of a seasoned professional. Use these 4th of July Recipes to make great cookouts to share at your next picnic, backyard party or tailgate party. Never have a boring party again!